Well, it so chanced that this time our conversation veered into the subject of words, and their impact on relationships. How, in spite of our best resolutions, wrong words seem to have a fiendish propensity to slip out at the most inopportune moments, and leave heartbreak in their wake. Which led to this old poem bequeathed to me by my minister-father. The only such case I can ever remember, because it was my elocutionist mother who filled my memory banks with unforgettable poetry. After I quoted some of the most memorable lines to Steve, I promised to send him a photocopy of the complete poem. In doing so, I was impressed to make it the subject of this week’s blog. Will Carleton (1845-1912), was born in Hudson, Michigan; became an editor and prolific writer of poetry, long and short. 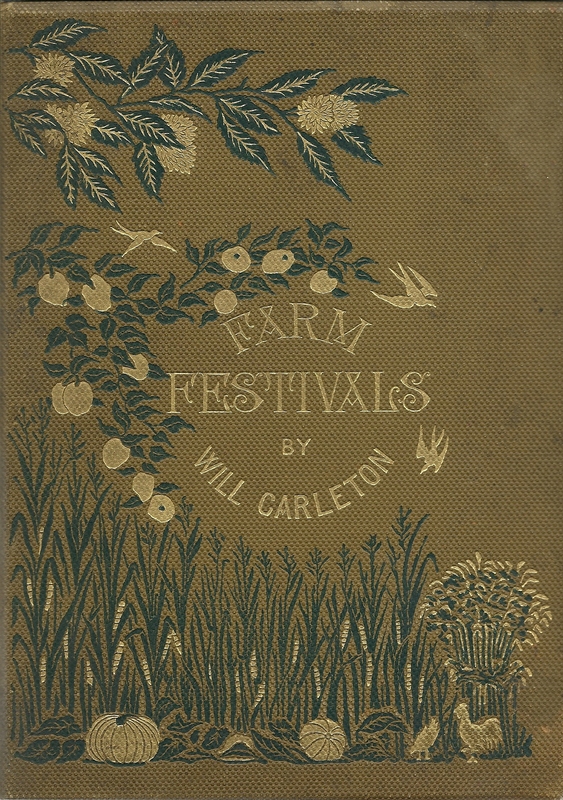 This particular poem was included in Carleton’s collection, Farm Festivals (Harper & Brothers, 1881). I don’t know about you, but I’ve had a life-long battle with my tongue. In the process, I’ve learned that what I’ve said, no matter how sincere my penitence may be, cannot be apologized away. In such cases, prayer doesn’t help much either because God cannot save us from the consequences of our own mistakes and ill-chosen speech. So, just in case any of our readers suffer from the same malady I do, I’m sharing the essence of this story-poem with you. The essence, because it is a very long story-poem. Too long for a blog. It is chronicled as though it was a true story, and so I consider it to be. It is told in the first-person by the so-called “First Settler.” An intrepid soul who moved west, into unsettled territory, bringing his lovely girl-bride with him. But it was such a lonely life! A half heart-hunger peering from her face. Of course that only made me see it more. And drove ‘em in; you’d nothing else to do. Before I saw the cold black poison in it. To’ve only got it back in-door. . . .
That afternoon, sensing an oncoming storm, he left work early and hurried home. My house had lost its soul—she was not there! I’ll try once more—I think I’ll find them soon. I’ve tried to do my best—I have, indeed. Just as he finished reading her note, he heard thunder—and the storm swept in. In the bold clamor of its cannonade. Was somewhere in the clutches of this storm! He rushed out, with his dog, frantically searching for her. The ground got drenched—we could not keep the trail. My house had lost its soul; she was not there! Back to what used to be my home I went. It gleamed upon my glad eyes like a star! ‘Brave heart,’ I said, for such a fragile form! Such pangs of joy I never felt before. ‘You’ve come!’ I shouted, and rushed through the door. Not far from where I killed her with my tongue. 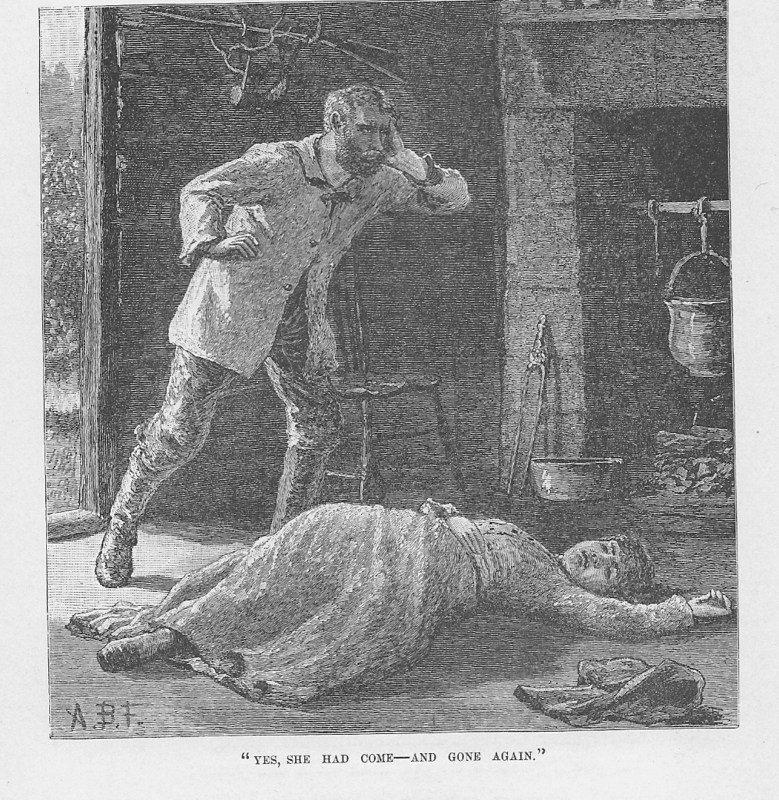 But Will Carleton wasn’t yet quite through with his story-poem. He added six more lines. Six lines that grant him immortality—for untold thousands of readers have written them down, posted them on walls, and learned them by heart. Repeated them over and over until they made them part of their very souls. You can’t do that when you’re flying words. But God himself can‘t kill them once they’re said. So what do these three blogs mean? Is there a solution? There’s a good reason to hang a ‘Do Not Disturb’ sign on your door when you need to concentrate. Researchers for Michigan State University and the Navy have determined that people make double, sometimes even triple, the errors immediately after they are interrupted, even when the diversions last only a few seconds. It doesn’t take much to get off track, which occurs whenever people have to shift attention. Three-second distractions doubled errors in the study; 4.5 – second interruptions tripled errors. Scientists call the delay in finding your place in the original task ‘resumption lag.’ . . . .It’s agreed that multitasking—essentially a cycle of interruption and resumption of work—acts like a brake to momentum. The takeaways: Turn off the phone, shut down email and close the door to avoid mistakes and work efficiently. In the same vein, it has been aptly stated that today Americans tend to “Major in minors and minor in majors.” Most of what we read, see, discuss, and internalize is meaningless trivia. Contestants on Jeopardy who know all the actors and roles even in third-rate movies routinely miss the simplest questions from the Bible. Across America, there is an abysmal ignorance of even our own history. We have seemingly lost the importance of differentiating between significant and the meaningless and trite. We have also discussed the alarming trend towards spending more and more of one’s life energy dwelling in a vicarious world rather than dealing with the day-to-day realities of the real world. This barrage of negative input devastates our productive potential and creative capacity. What we see and hear is what we think about. Our thoughts become our expectations. Expectation leads to manifestations. It’s a dangerous and damaging downward spiral. We’ve also discussed the significance of who each of us is, in terms of whether we are other-directed or inner-directed. If we are other-directed, inescapably we are bundled into the paralysis of the American mind. And we’ve tackled, at least superficially, the issue of pleasure: Are we permitting the pleasure-principle to dominate our own life journeys? Furthermore, if sexuality becomes more significant than its God-given reason for being: cementing the life-long relationship of a man and a woman (the bastion of family life and security with our children), then of what value are our lives? We’ve discussed too the increasing separation between us and our fellow-travelers-to-the-grave in this journey we label “life.” Are we willing to permit technology to replace day-to-day human relationships? Nor should we forget that reading is at the very core of our creativity. If we are settling for the simplistic and narcissistic media world rather than studying books, magazines, and newspapers, then we are ourselves to blame for the myopic blinders we create for ourselves. Ever since Gutenberg, reading has anchored civilization and made possible the Renaissance and the subsequent explosion of knowledge. If we desert reading in favor of sound-bytes, we thereby contribute to the decline of America. For if we forget God, forget our Founding Fathers, forget the principles our nation stood for during our first two centuries, our end can only be categorized as tragic. But let me conclude with this sobering thought: In His earthly ministry, Christ hammered home no injunction more than time-management. In parable after parable, He reinforces His expectations that each of us would prioritize life thus: Each day should result in growth/achievement and in selfless service to God’s sheep. Everything else is secondary. With this in mind, how can so many millions of us dare to fritter away the bullion of the universe—our time—on things that neither contribute to our daily growth and achievement nor make a positive difference in the lives of others less fortunate than us? Every moment of His earthly life, Christ considered precious. So should we re-prioritize each remaining day left to us.